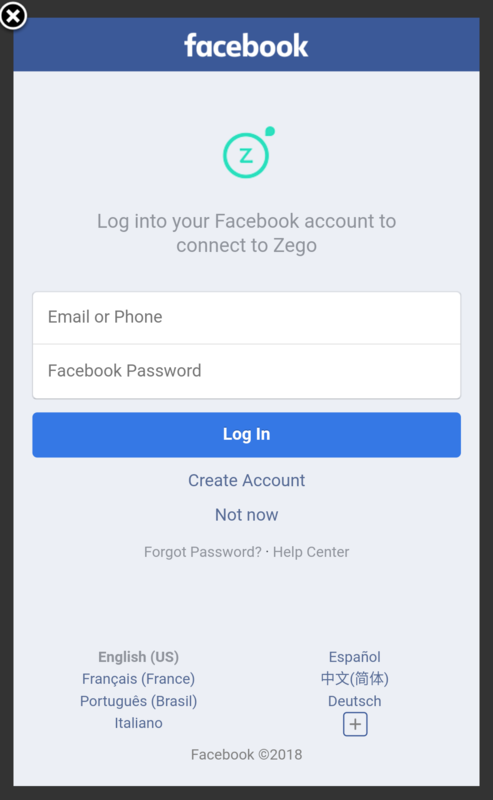 If you do not want to create a separate email and password for your Zego account, you can use your Facebook account to securely login to the Zego app. 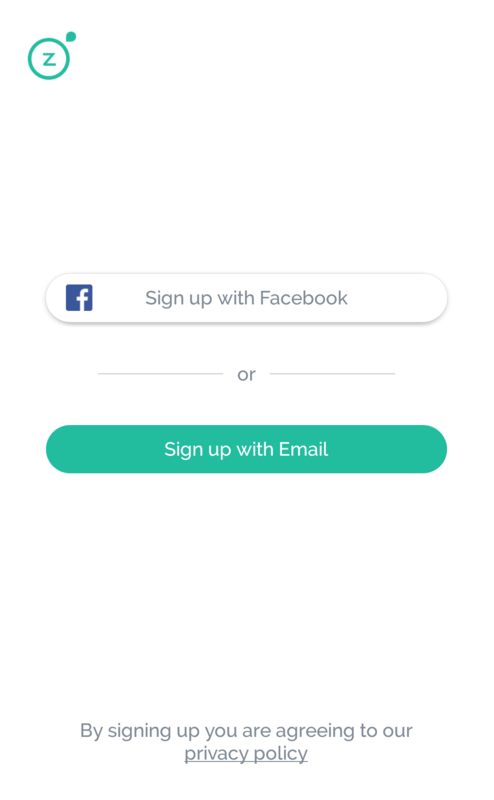 To sign up with Facebook, click on the "Sign up with Facebook" button during the account activation process. *To get to this step, click the "confirm your account" link in the activation email you received. If you haven't received this email yet, please contact your property management team. 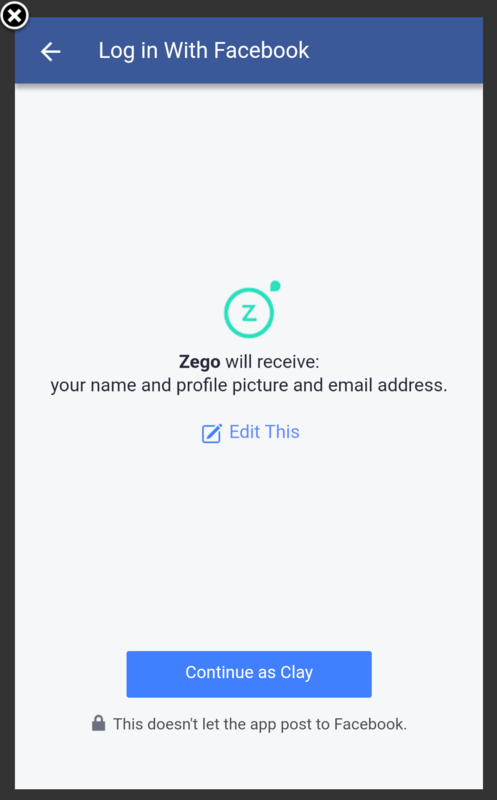 After you select "Sign up with Facebook", you will be prompted to authorize Zego to connect with your Facebook account.  *Note - as stated this DOES NOT allow Zego to post your Facebook account. In the case that you do not have the Facebook app installed and authenticated on your phone already, you'll have to login using your Facebook credentials (email & password). As always, if you have any questions or need help setting up your account, please contact our support team by clicking the chat icon in the bottom-right corner of your screen.